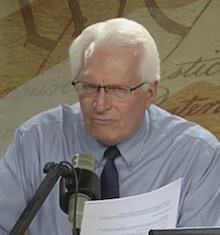 Bryan Fischer (below right) of anti-gay listed hate group American Family Association has demanded that gay radio host and Fox News contributor Guy Benson be fired from his position as Townhall.com political editor, reports Right Wing Watch. Benson recently came out in what he calls a "footnote" in his new book End of Discussion: How the Left’s Outrage Industry Shuts Down Debate, Manipulates Voters, and Makes America Less Free (and Fun). 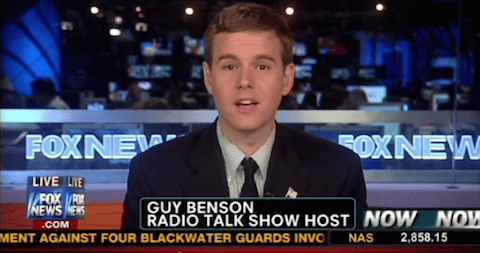 “Benson is young, smart, and articulate and often appears on Fox News as a pundit on all manner of political issues. This makes him particularly dangerous to the conservative cause. “Now I don’t know Mr. Benson, and he certainly seems like a particularly nice and friendly individual. But this is not about his personality. It’s about his politics. “Townhall…is owned by Salem Media Group, which describes its mission as ‘targeting audiences interested in Christian and family-themed content and conservative values.’ To my knowledge, Salem has yet to explain how paying an openly homosexual activist to be the political editor of its main public policy publication is consistent with this mission.